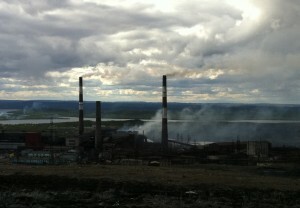 KIRKENES, Norway – Residents of this Norwegian-Russian border town have long suffered enormous sulfur dioxide emissions from Russian industry, and say they’re fed up with weak reactions from their own politicians to the two-decade old problem. An area event last week gathered hundreds of residents of the small town in highlighting their worries over the heavy metal emissions wafting in from the Russian Kola Peninsula’s Kola Mining and Metallurgy Company’s industrial complex towns, and requested their own local politicians break deadlocked talks between Oslo and Moscow to improve the situation. The Kola company is spread out across Northwest Russia in three of the dirtiest industrial towns in the country: Nikel, Zapolyarny and Monchegorsk. 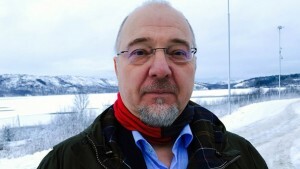 The Kirkenes event highlighted the recent publication of a Norwegian-authored book entitled Stop the Soviet Death Clouds, the name of the eponymous movement that was sparked in the early 1990s to fight trans-border pollution from the newly disbanded Soviet Union. The authors of the book, many of whom took part in the original movement, said this early environmental movement was joined by some 40 percent of Norwegians living in areas abutting the new Russian border. But according to Kare Tannvik, an activist and tourism businessman, some 26 years of demands have failed to abate the industrial pollution from Russia. Frank Bakke Jensen, a Norwegian parliamentarian, confirmed that not a single high-level meeting between Russian and Norwegian officials fails to mention the pollution problem – without producing any results. Former mayor Cesilie Hansen of nearby Sør-Varanger agreed. She said that years of negotiations and meetings of a special Russian-Norwegian group created for this purposes have produced any agreements, including how to measure the pollution in the first place. When the negotiations proved futile, Hansen herself filed suit in 2013 with Norwegian prosecutors against the giant Norilsk Nickel, the parent company of the Kola Mining and Metallurgy Combine, a measure many international legal experts though might bear fruit. But the effort was torpedoed by own municipal administration. 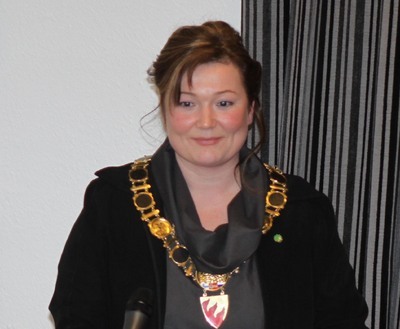 Rune Rafaelsen, Sør-Varanger’s current mayor, told the gathering that Norilsk Nickel was the most polluting industry in the Arctic Region, and urged the matter be taken up by the Arctic Council and other international stages like the World Economic forum in Davos, Switzerland. Yet, he underscored the issue would not be decided at a local level. Rafaelsen added that Murmansk Regional Governor Marina Kovtun “knows the problem well” but that it transcended being a regional issue and must be pursued at a federal level. Event participants suggested various ways of dealing with the problem. Rafaelsen said that suspending markets abroad to Norilsk Nickel would dig the pollution question out of mothballs. He said the Russian industrial monolith, which delivers a third of the nickel used worldwide was “dirty and irresponsible,” and suggested boycotting its nickel until it cleaned up its act. 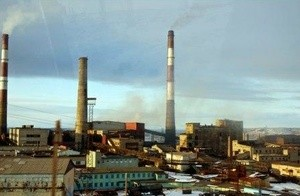 He added that one of the oldest and dirtiest nickel plants in Norilsk was closed, and suggested the same be done with the nickel smelting plant in the Kola Peninsula industrial town of Nikel. “A new plant corresponding to contemporary ecological demands needs to be built in place of the one that is now smoking away,” Rafaelsen said. “The cost of this yacht alone is equivalent to the expenses required to make production in Nikel ecologically clean,” said Tannvik. As such, he suggested that talks to make the company more green should be undertaken with Potanin himself – using the yacht as leverage. Others attending the event wondered why no influential Russian figures represented. They were also interested in whether residents of Nikel where too intimidated to speak for themselves. No one was on hand to answer these questions. Numerous of those who took part in the debates mentioned Bellona’s efforts in the cross-border pollution issue. They understood that during the trying times the NGOs Russian offices are experiencing that further involvement was impossible. And they sympathized with the fact that neither Russian citizens nor civil society were actively intimidated away from the levers of power. Yet, Bellona has been attempting to address the problem of cross-border sulfur dioxide contamination. 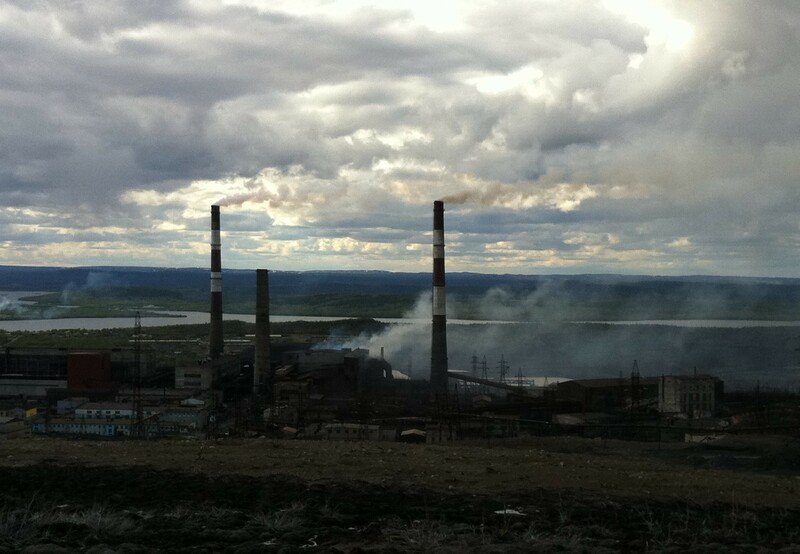 It’s not published a report on Norilsk Nickel’s pollution, but had held and plants to hold more talks with the Kola Mining and Metallurgy Company’s management. Bellona’s news website also regularly publish on developments on the issue. Bellona says the problem can be solved only by economic pressure. Emissions will fall only when dirty production becomes unprofitable. At the beginning of the year, Russia’s Federal State Statistics Service, Rosstat, published a report (in Russian) naming the Russian cities with the worst atmospheric pollution. Nikel was included in the list. Russia’s Federal Service for Hydrometeorology and Environmental Monitoring, or Gidromet, meanwhile published data (in Russian) showing that during the entire 31 days of July 2016, sulfur dioxide emissions didn’t exceed allowable limits on merely four days. For the remaining 27, emissions reached six to eight times allowable limits.